Agostino serves as aviation director for Group Holdings Aviation in Fort Worth, Texas, and oversees operations at American Aero FTW, an FBO at Meacham International Airport. Under Agostino’s leadership, American Aero FTW was the first FBO in the Western Hemisphere to earn the new, rigorous IS-BAH ground handling safety certification in 2015, and recently became one of the first FBOs the world to earn Stage II certification from the International Business Aviation Council (IBAC). Agostino’s career encompasses more than 45 years of corporate flight operations, including 15 years as director of flight operations for Learjet/Bombardier where he created what is now known as the Bombardier Safety Standdown. Agostino is a member of AOPA and the Society of Experimental Test Pilots (SETP), and he currently sits on the Gulfstream Customer Advisory Board. The NBAA award was created to honor Dr. Tony Kern, a co-founder of Convergent Performance, a company committed to maximizing the value of human potential in high-risk industries, distinguished U.S. Air Force veteran and author of five books on human performance. The National Business Aviation Association (NBAA) has recognized American Aero FTW Vice President Bob Agostino (left) with its prestigious aviation safety award. Agostino was presented the 2017 Dr. Tony Kern Professionalism in Aviation for outstanding leadership in aviation safety. 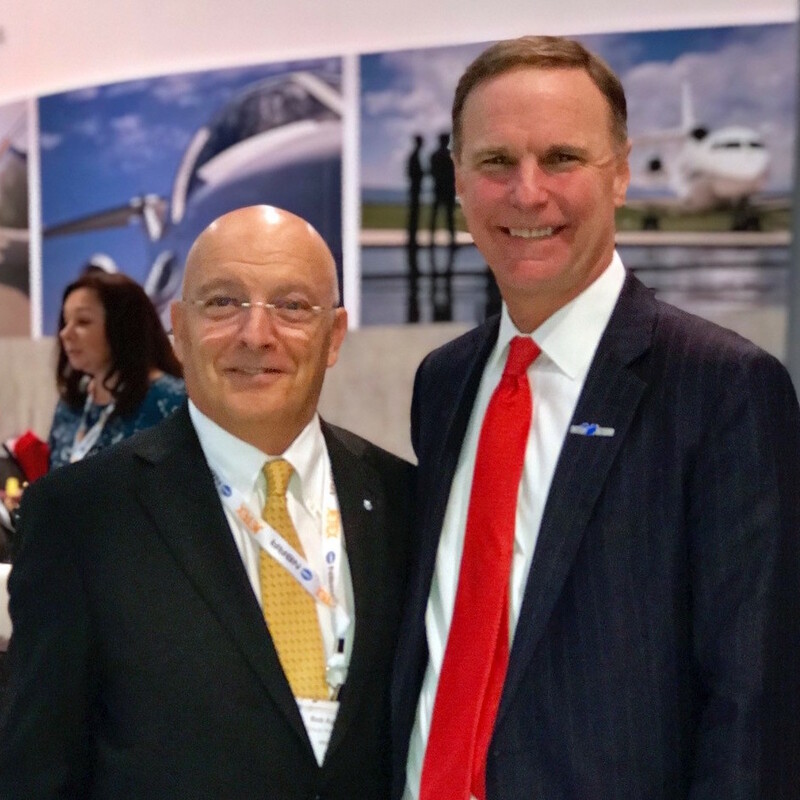 Agostino is pictured here with NBAA President and CEO Ed Bolen. Founded in 1947 and based in Washington, DC, the National Business Aviation Association (NBAA) is the leading organization for companies that rely on general aviation aircraft to help make their businesses more efficient, productive and successful. The association represents more than 11,000 companies and provides more than 100 products and services to the business aviation community, including the NBAA Business Aviation Convention & Exhibition, the world’s largest civil aviation trade show.